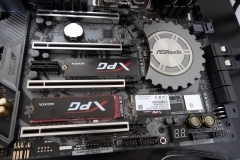 In response to our AMD Threadripper 1950X and ASRock X399 Taichi reviews, we’ve had some common questions come through that I thought I’d cover off here. 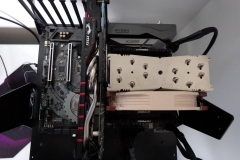 The system is essentially still ‘as-reviewed‘ but we had to undertake a shuffle of cases due to needing the Lian-Li Pitstop test bench for other testing and we also wanted to reduce the amount of dust that the Threadripper system was exposed to. 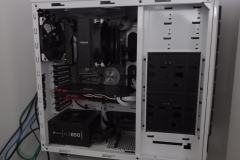 In May 2018 we moved the Threadripper system to the Cooler Master CM Storm Stryker case and added an MSI GTX 1070 Gaming graphics card. Q: Has Threadripper improved at all since release? 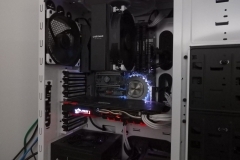 Is it better for gaming now? We have noticed that since the post-review driver and BIOS updates, Fallout 4 now seems to run the same as it does on the Ryzen 7 test system. 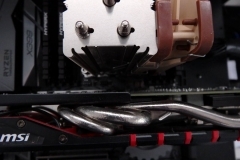 As an aside, Fallout 4 is a great game but not without its quirks – an example is where a high frame rate and sometimes G-Sync will mess with the speed of the game and make things like lockpicking incredibly difficult so if you see forum posts or know people who are having issues with Fallout 4 and Threadripper just remember that there are many things that can impact on the stability of that particular title – not just the CPU. In fact, we have only experienced one title that doesn’t like Threadripper – Far Cry 4. The 1950X has too many cores for Far Cry 4 and it won’t load unless we run the system in ‘Game Mode’ with 8 cores disabled. 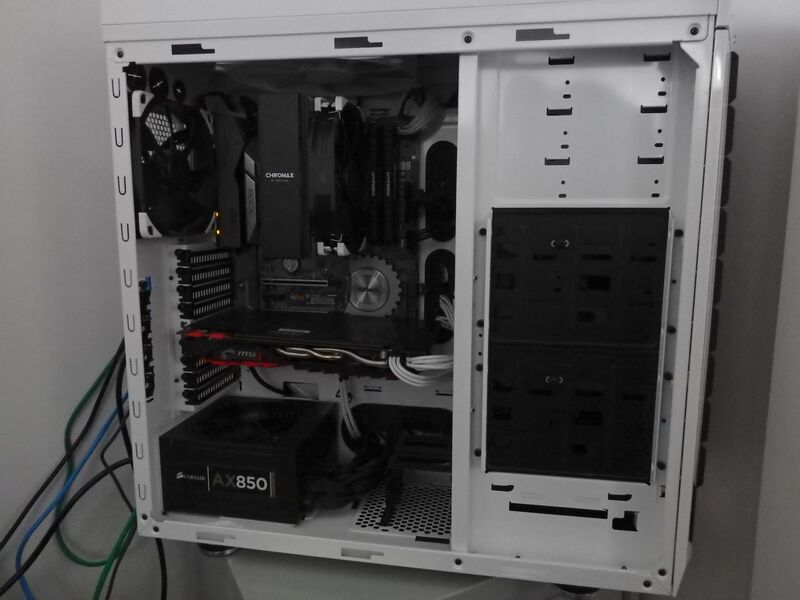 Threadripper has been the ‘Go-to’ system in the office and has literally replaced our need for dual workstations to the point where we’ve actually moved the second workstation to another room. It is normal to have Threadripper doing something in the background while someone is gaming on it. 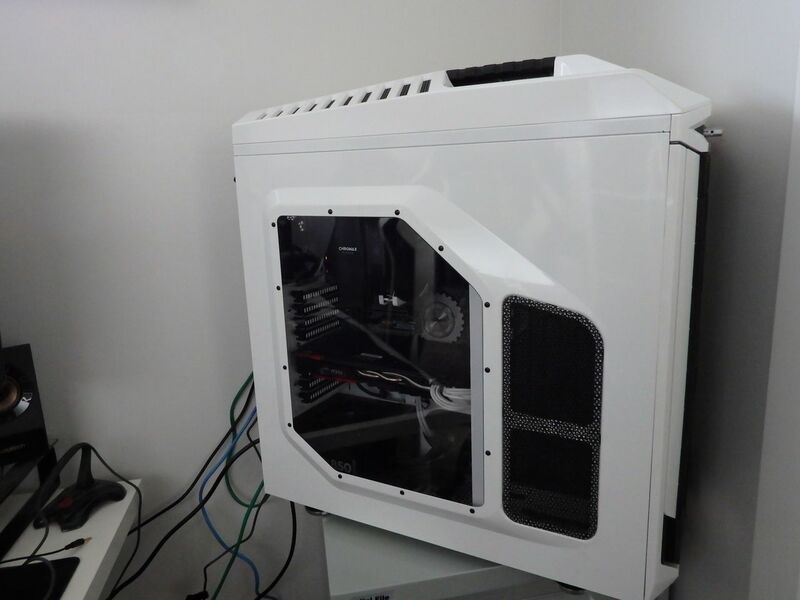 We also recently added an MSI GTX 1070 graphics card to the setup and attached it to a Viewsonic XG2703GS 27″ 2560×1440 165Hz G-Sync monitor. When the Threadripper isn’t being used for productivity work, it’s also the first choice for gaming and we haven’t seen any lockups or game crashes besides Far Cry 4. The NH-U14S TR4 cooler has been keeping the constant 3.9GHz overclock under control without any noticeable acoustic protests. 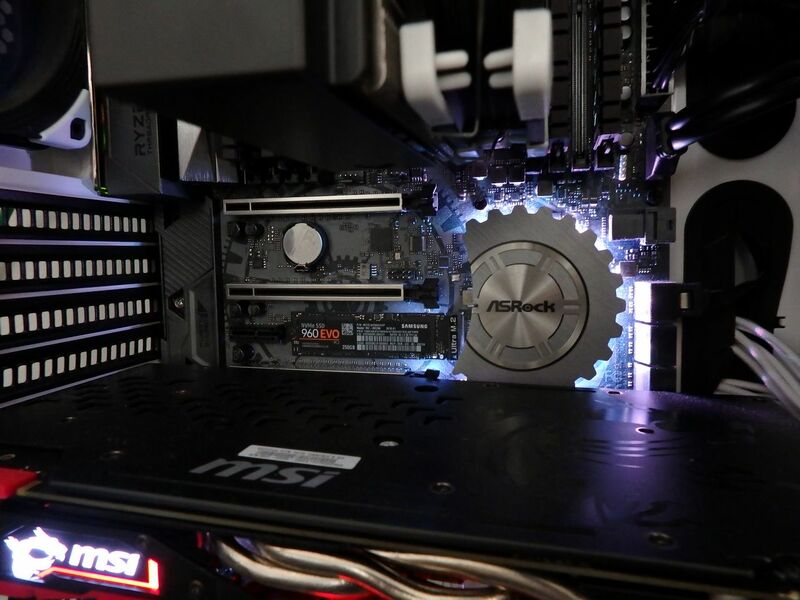 The overclock is relevant to gaming for those titles that rely more heavily on single core performance. Aside from the issue with Far Cry 4 not being able to handle the number of available threads in the 1950X, gaming has been great onX399/Threadripper. The platform delivering the best of both worlds in terms of work and play. 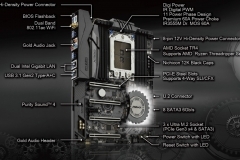 Q: Are you still using the ASRock X399 Taichi? Have you seen any stability issues with it and do you still think it’s good value? Yes – we still use the X399 Taichi. We have this permanently set up and it gets used every day. Everybody loves it and the workstation is used for photo work, games, working with website backups (large compressed archives and virtual machines), and media transcoding. 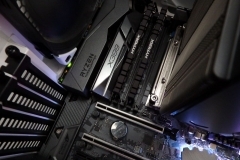 Threadripper is a brilliant offering from AMD and the X399 Taichi has made a high-end solution even more affordable to those that need the extra grunt. The only thing we noted with the X399 Taichi is when installing Windows 10 from a USB stick, you need to go into BIOS and make sure that IOMMU is disabled in the North Bridge section or else it won’t load the installation package. We haven’t found ourselves wanting in terms of any of the features. The WiFi has been good but we don’t use it often due to the availability of dual gigabit cabling back to the switch. The audio performance has been good, too, and we don’t have any complaints about the onboard audio from headphone or desktop speaker use. In terms of stability, the Taichi has been trouble-free despite getting a decent workout and running with a permanent overclock. 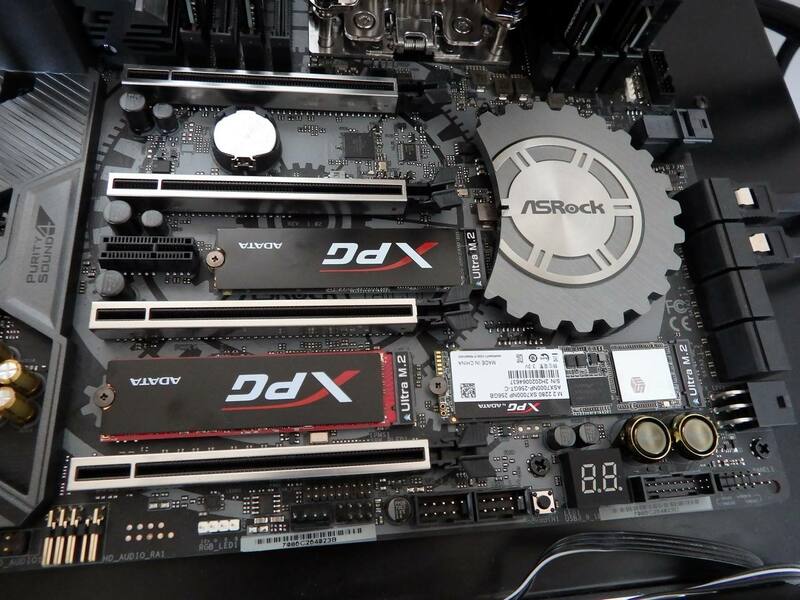 The ASRock X399 Taichi is still a great lower-priced Threadripper motherboard. Q: What’s the deal with 10Gb LAN? 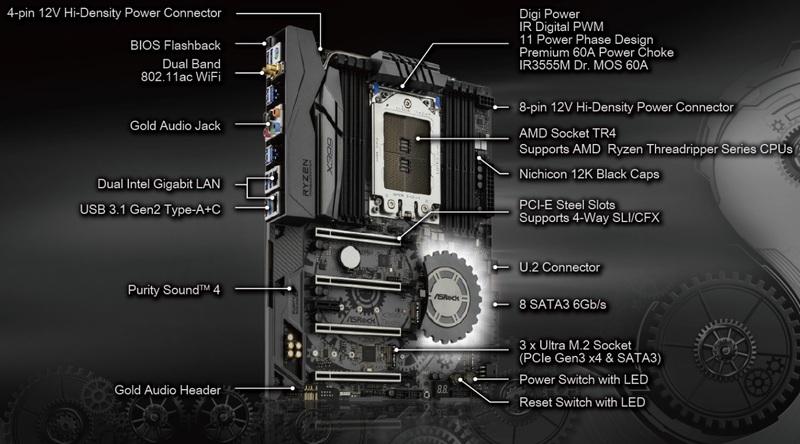 Is it worth getting a motherboard with it to futureproof my platform? Unless you need it and have a 10Gb backbone to connect to I wouldn’t be too worried about it. If a board that you like has it, then great, but if you can’t use it now then there is no real loss by buying a board that has dual 1Gb LAN ports. Threadripper has a lot of PCIe lanes so unless you’re rocking cards in all of your expansion slots down the track, you could buy a 10GB PCIe network adapter if and when you need it. You can currently buy a PCIe 10Gb LAN card for around $135 AUD but a 10Gb switch will set you back as much as $880. The dual gigabit ports on the X399 Taichi have proven to be more than adequate for running productivity tasks referencing data on our local NAS whilst gaming online. 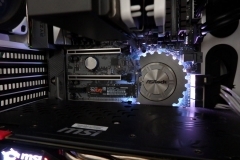 Q: Is M.2 PCIe x4 noticeably faster than a SATA SSD? I’m going to say yes and no here. On boot, I can’t notice a difference. When loading applications or games, I haven’t found myself sitting there wondering if it’s loading from an M.2 or the SATA SSD, but I can certainly tell when I’m loading up something from a mechanical hard drive. When copying large sets of files between drives, you do notice that the NVMe/M.2 storage (PCIE x4, not SATA) is quicker. Searching and indexing also seems faster on the NVMe SSD than the SATA SSD. In general use though, for the average person, money is probably better spent on a larger SATA SSD than a smaller, faster NVMe SSD if you could only afford one or the other. 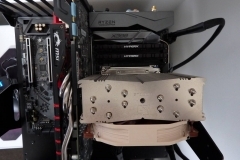 Q: Should I water cool my Threadripper in my new build? It’s totally up to you but there are 2 key things I’d consider – the cost and the suitability of the water cooler. 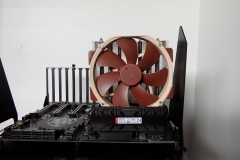 I have a compatible ASETEK AIO type watercooler here but when I looked at the size of the water block/pump area and the Threadripper heat spreader, I stuck with the Noctua NH-U14S TR3 SP3 unit. 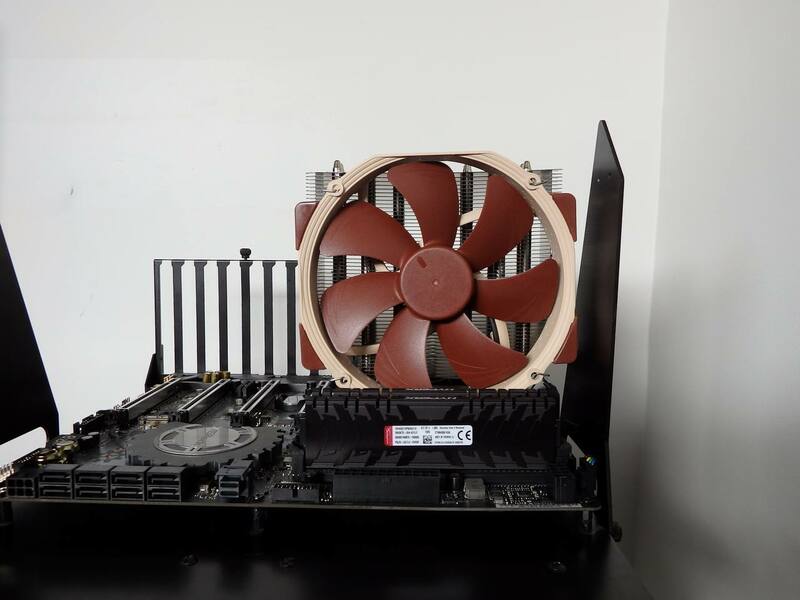 The Noctua air cooler is larger, obstructs the board more than a water block but its contact plate is about the same size as the Threadripper IHS so the heat transfer is better. I run the NH-U14S TR4 SP3 on our Threadripper test platform and it manages the continuous 3.9GHz overclock across all cores at a whisper. 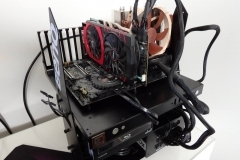 Quality air coolers are typically cheaper than quality water coolers as well so keep that in mind. 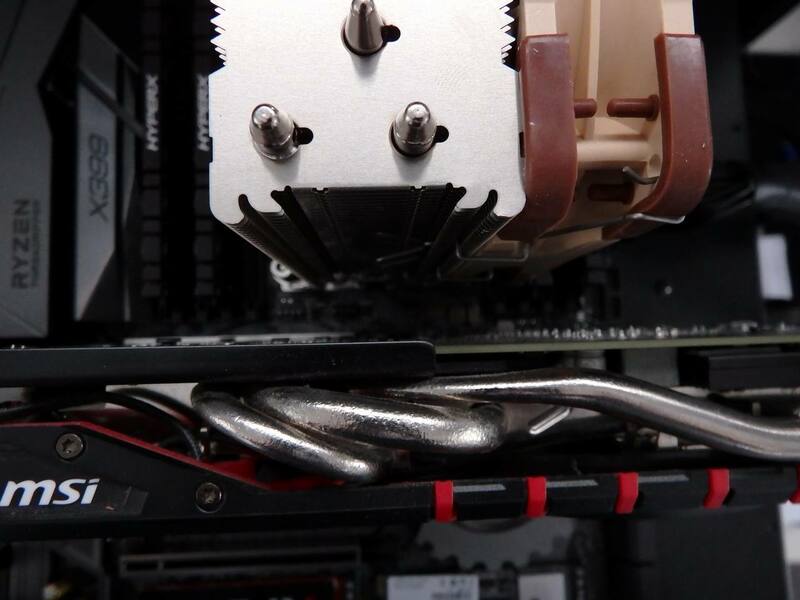 If you plan to use all 8 DDR4 slots in your build, water cooling might be a better option depending on the height of the RAM heatsinks. 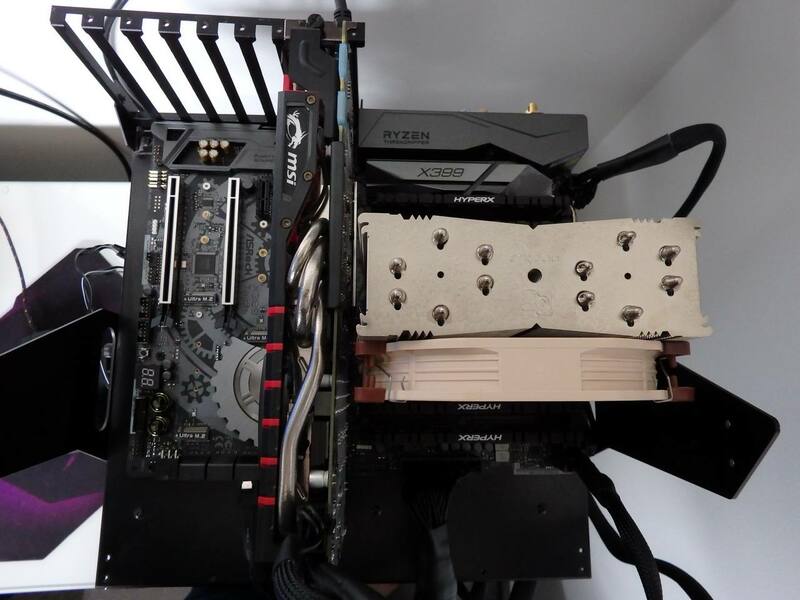 Whatever you do, if you’re building a Threadripper, don’t go cheap on your power supply or cooling. 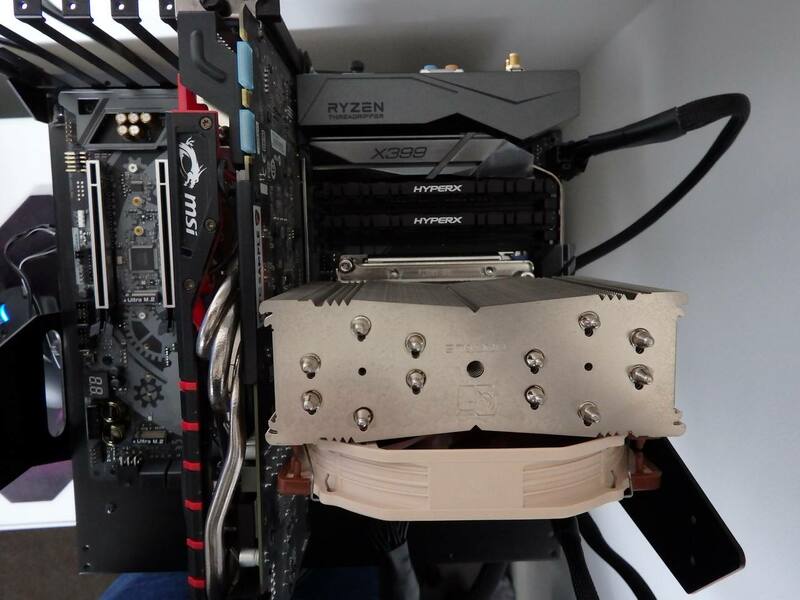 Personally, I’ve been very happy with the NH-U14S TR4 cooler and I’m not in a rush to use an AIO unit on the TR4 socket. 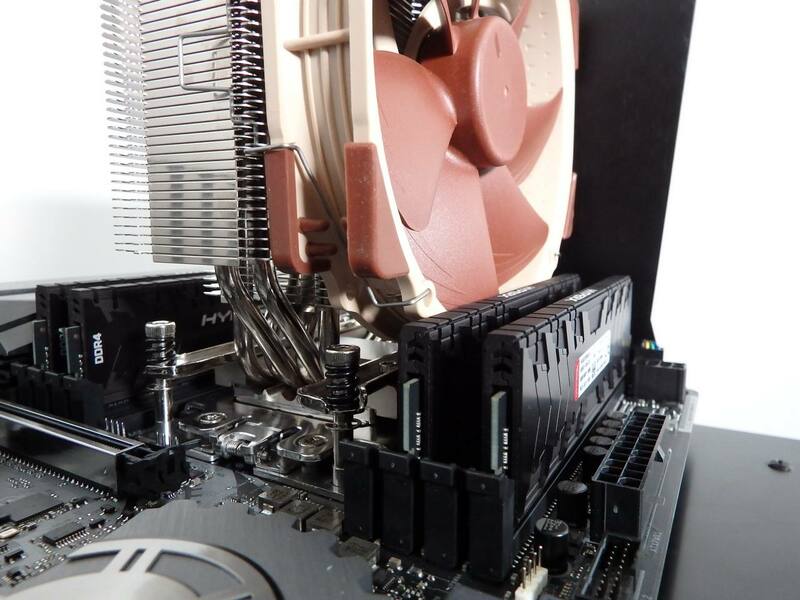 If I was to water cool the X399 platform, I’d want to use a water block that covered more of the IHS than the standard ASETEK style coolers. The options for AIO water blocks with larger contact area are currently limited with the Enermax Liqtech TR4 range and the EK MLC range. 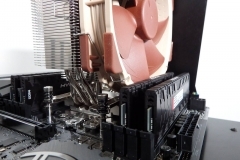 Q: Is Threadripper for me or will a Ryzen 7 do the trick? If you are a gamer, spend less on the CPU and invest the saving on a GTX 1080 Ti. The recent Ryzen 2nd generation 2700X is a beast of a CPU and has 16 threads for heavy lifting. It’s also cheaper, faster when it comes to single threaded performance and better value for the average enthusiast. For pure gaming on an AMD platform, I’d be dropping down to a Ryzen 5 2600X with 6 cores/12 threads. 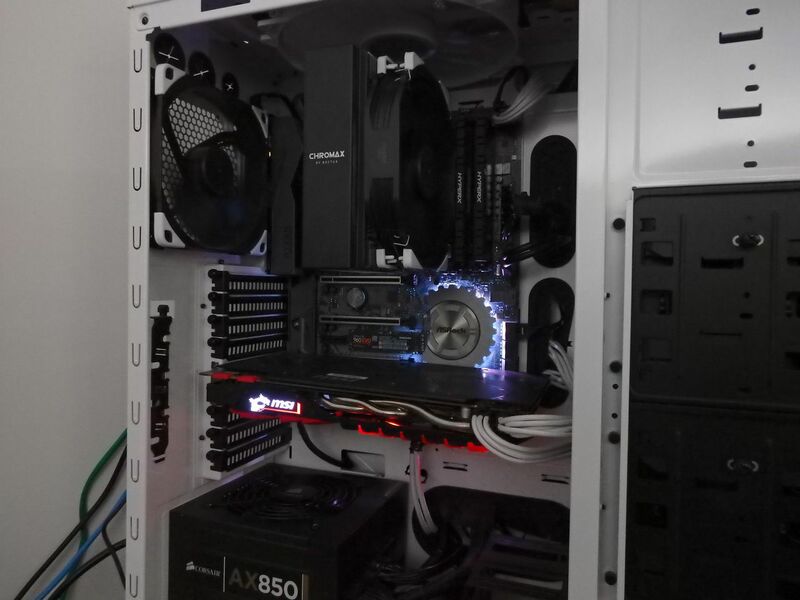 Threadripper is a fantastic product and we couldn’t be happier with our AMD X399 platform but a 16 core/32 thread, quad channel behemoth like the 1950X isn’t cheap and is still a product built for a minority of PC users. 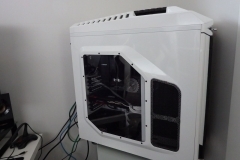 Q: Why isn’t Threadripper your main test bench? Most people won’t be using or considering a Threadripper-based system so we will be sticking with Ryzen for the next 12 months to make the results more relevant. 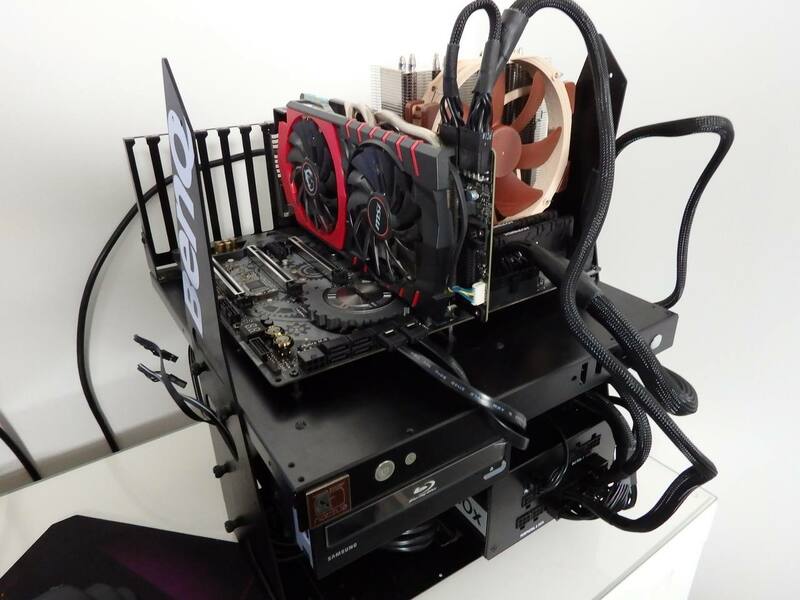 The new test bench is an ASUS ROG STRIX X470-F Gaming based setup with the EK-240 Predator AIO water cooler. Q: Are you deliberately ignoring Intel? Not at all. We used Intel CPUs almost exclusively from 2011-2017 but haven’t had the same access to their CPUs lately as we have in the past. At the end of the day, we review what we can get our hands on and we use what we have in the lab for projects. 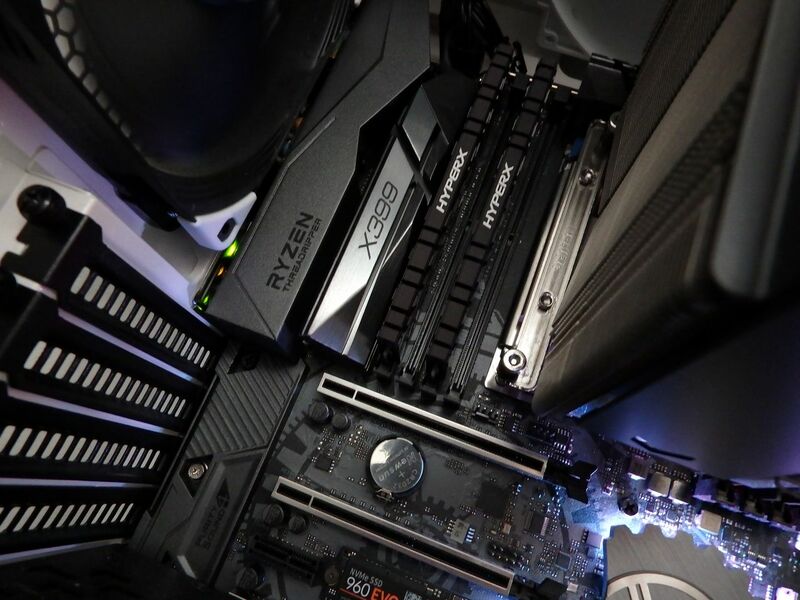 We also consider the feedback from you guys and lately there has been a lot of interest and questions about the AMD Ryzen platform compatibility so that’s what we’re covering. If our access to Intel components changes so will our content. There is nothing sinister or deliberately biased in what we cover and we don’t have a preference for one manufacturer over another as far as CPUs go.